The Abu Dhabi International Petroleum Exhibition and Conference is a world-class business forum, where 2,200 oil and gas exhibitors convene to do business that will shape the industry for the years ahead. ADIPEC has become the world’s meeting point for oil and gas professionals, with over 110,000 attendees and 980 leading industry experts present for technical sessions. For the 2018 and 2019 ADIPEC Exhibition a concept was required that met budget goals, design objectives and integrated a multitude of different companies with a multitude of areas and functional spaces. Our concept presented a unifying design that leads the visitor through all four blocks of the pavilion space. A full project brief was created by our project manager for the client which evaluated the overall goals of this exhibition stand and found solutions to meet each objective. This is one of the largest pavilions at the ADIPEC Exhibition and Conference and represents multiple national entities and the nation as a whole. A design was found that provided an overall unifying concept. Each individual brand had specific requirements that our functional design was able to satisfy. LED walls, rigged lighting, graphic displays, private meeting areas, offices and storage spaces all found their place within the concept. The over-all budget for the complete construction of all four blocks was restrictive and a creative solution was needed for an impactful yet cost-effective design. 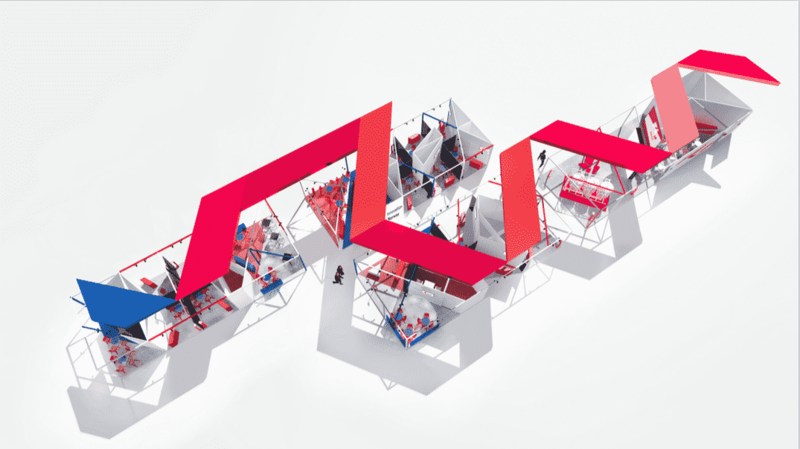 At the time of the design four major pavilion sponsors had been confirmed, yet the design had to incorporate at least 15 small on-site sales stands to be sold to smaller brands. 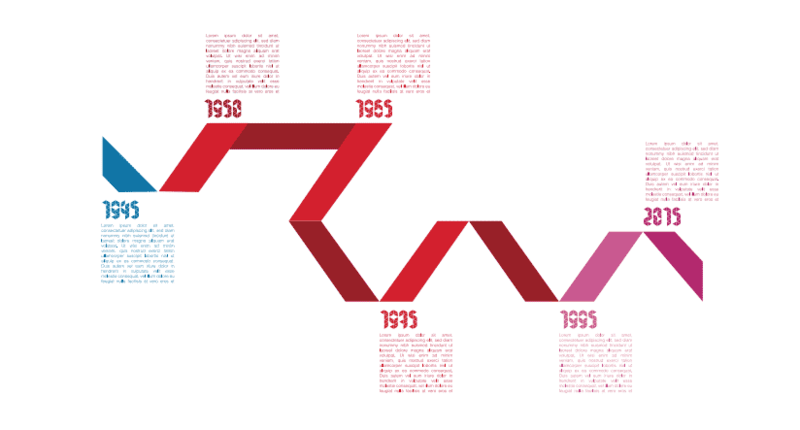 With a strong history, a graphic concept was developed that incorporated a timeline with the overall pavilion design. This was adapted for each individual brand and as a theme for the exhibition stand. Our client’s receive full 3-D renders in order to best plan the layout and mood during the brief phase. Our Technical Department conducts on-site evaluations to best incorporate electrical and build specifications. 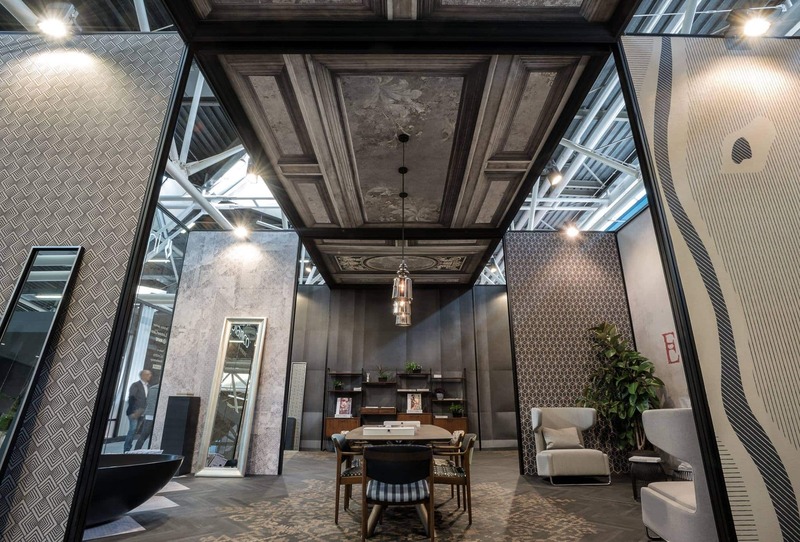 Our build and construction staff can create your stand with precision and perfection in any situation including trade shows, showrooms, public displays and outdoor events. For the past 25 years our core business has been exhibition and trade show stand design and development. For 18 years our Creative Director has been personally managing all exhibition stand projects with dedication and consistency providing a guided approach to the brief process and concept development. With two and a half decades of experience we have developed stands for almost every trade fair in Europe. you can rely on our expertise for precision including a fast concept turn around. Our creative staff are constantly traveling to research the latest developments in materials, technology and tendencies to provide our clients with a modern and tested approach. Genius Progetti is dedicated to every project we undertake. From 1994 to now, we’re been trusted by our clients to create memorable spaces, events and experiences, here you can discover just a few of them created over the years.